Waterproofing, decking and leak repair. 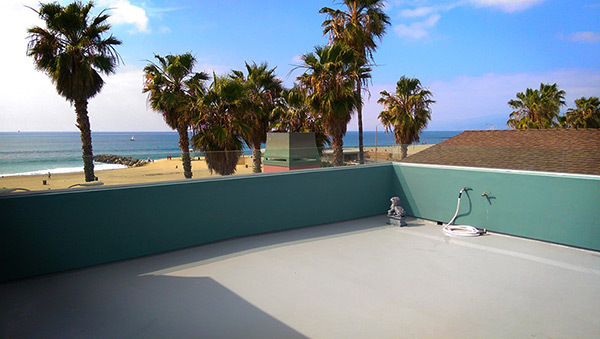 Epoxy coatings for homes, condos, commercial, walkways and swimming pools. “...a 34-year-old symbol of experience, commitment, and integrity." "The industry's waterproofing leader that has been installing waterproofing and deck coatings, roofing as well as performing leak detection / waterproofing forensics services for over 34 years!" Hello, I am a highly satisfied customer of Southern California Decking. All of the work done by SoCal Decking was top quality, completed without disputes or delays, completed by the same quality staff who started the job and stayed with it, and coordinated beautifully with several independent contractors recommended to me by SoCal Decking who I would never have found on my own. I am one happy customer! I owe my satisfaction to my job's supervisor Darren Elliott. He made all the difference. I highly recommend him as a leak solution expert, job coordinator, and negotiator. Darren Elliott, the President of Southern California Decking, Inc., handles all of the company’s management duties. Southern California Decking, Inc., customers can reach him directly, day or night by email or phone. His qualifications include over 34 years in the waterproofing and deck coating business and SCD is currently a leader in low voc coatings. Southern California Decking, Inc., has over 20 employees with 100+ years of combined experience between them. When we bid a project, rest assured our long-time experience in this business will be fully-applied to give you the best, competitive and cost-effective price quote – and one that GETS THE JOB DONE CORRECTLY. Please contact us if we can be of assistance.